Well, what a night I had yesterday in Manchester, and why you may ask was there? Answer: At a networking event. Networking events are something relatively new to me, as in the past there haven’t been many that I have been made aware of, or are close enough for me to travel to. This networking event was called ironically ‘The Event’ where many people in the TV and Film industry came to chat, hand out business cards and socialise with those wanting to find the next opportunity. Made it to Manchester before the event started to check into my hotel and it took me roughly 10mins to get there. Once at the Midland hotel (which is where it was held) I found the function room where it was being held, and as soon as I got my name badge and free drink, the networking commenced. I met a mixture of people from different media areas (directors, location managers, PR agencies, composers, sound mixers etc). During part of the evening we were introduced to Nick Ball head of the organisation behind the event and each member of staff who are responsible for the different regions of the UK, and I spoke to the guys who deals with the Midlands. I admit that was the one thing that annoys me is that there are not many opportunities in the Midlands, always up North or down South. It was great meeting so many people and handing out business cards, I only hope that I hear of more opportunities. The event wrapped at 9pm and once people started leaving I followed suit. Whilst walking back to my hotel I thought about how great the evening had been and hoped that the next event I head to in Manchester next Tuesday is just as god as this one. Lets see what happens after this. Lets start with a cheesy joke; ‘Knock,knock, who’s there?, Dr, Dr Who?, Yes thats right. If you are wondering why this joke has been used, the answer is this; I attended a networking event that involved a Q & A event at Nottingham’s broadway from Joe Ahearne. 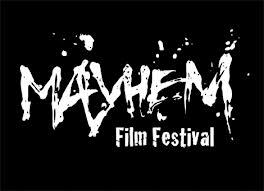 This was all part of the the ‘Mayhem Horror Film Festival’, a five day event that of course started on 31st October, and ends on 4th november. The funny think about this is I only came across reading the Metro when I was travelling to London on the 30th Oct, one event I saw was a preview screening of a BBC series called ‘The Secret of Crickley Hall’. This series was part of the BAFTA UK learning and networking events, and as I was free on the Saturday, I decided to venture out to the broadway. As I had never been to this cinema before I kept thinking will I find it in time, and surprisingly I did. When I got into screen 2 I saw roughly about 20 odd people, which was good as there were too many people to fight a seat for. I admit I haven’t read the secret of Crickely Hall, though I was impressed about what I saw. The plot summary, in brief, centres on a family called the Caleighs who have been through a terrible ordeal; their son Cam has gone missing. In order to escape the dreadful remainder on the anniversary of his disappearance, Gabe takes his wife Eve and two daughters, Loren and Cally, away to Crickely Hall, a house on the outskirts of the village Devil’s Cleave. Once in the house, Eve begins to hear Cam’s voice, Loren and Cally seen the ghosts of past children who lived in the house, when it was once an orphanage of strict discipline. This is a three part series and from what I saw I thought it was brilliant, especially the time shift from past to present and how each of the characters expressed their sadness and despair in wanting answers to questions about Cam, the house and what happened to the children in the house. Once the episode had finished it was a Q & A session with the man behind the programme, writer and director Joe Ahearne. Although I mentioned he has worked on Doctor Who, Joe also created ULTRAVIOLET; a British TV Series about Vampires and supernatural happenings, I haven’t seen this series, though I will try to watch it on 4OD. before leaving I went to meet the man behind the adaptation and asked a few questions of my own about the series, filming on location, how to get into TV and Film and mentioned my past experiences and to my surprise Joe said everything I was doing was right and that it took him till his late 20’s early 30’s to full get into the industry. And of course, before parting, I passed on a business card and asked that if there are any future projects Joe Ahearne will be involved in, if he would consider me as a potential runner. All in all the event was great, and made it out of Nottingham no problem, though I did feel sorry for one woman who was trying to manoeuvre into a parking space right next to to cement pillar and unfortunately she scrapped it numerous times. Eventually she got into the space, but all down the passenger side a long line of grey scratches. Overall, I enjoyed the BAFTA BBC MAYHEM FILM FESTIVAL I guess its because there are never really that many events like this that I am aware of in the East Midlands, so I will see if I hear of anymore events, and if I can attend them. Next event is in Manchester in two weeks, and all I need to do is book my hotel and then I’m off. Really enjoyed meeting Joe and fingers crossed this leads to more opportunities.